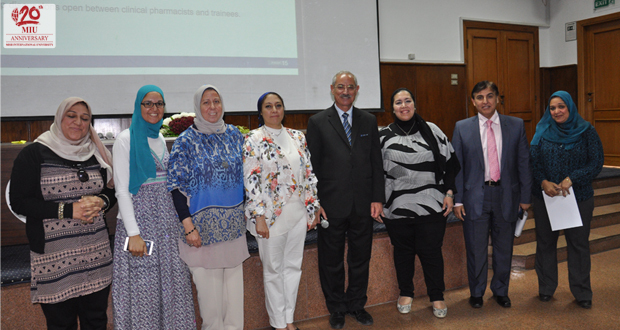 A Scientific Day in appreciation and acknowledgement of the extracurricular students’ achievements and activities was held by the Faculty of Pharmacy on Wednesday, May 10, 2017. 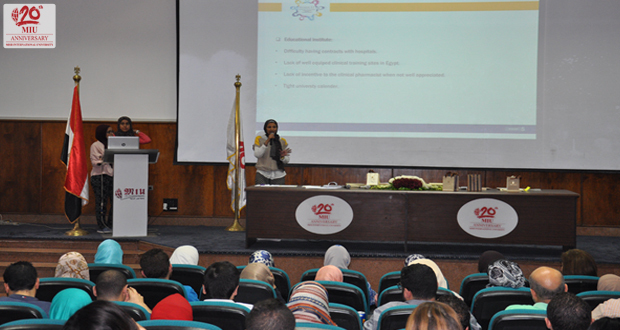 The celebration took place in room OOA and lasted from 10:00 am to 1:30 pm. 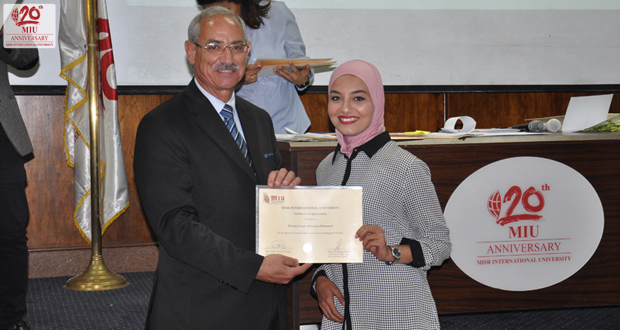 The honored students were those who contributed to Duphat Pharmacy conference in Dubai as well as those who successfully completed their clinical experiential training. 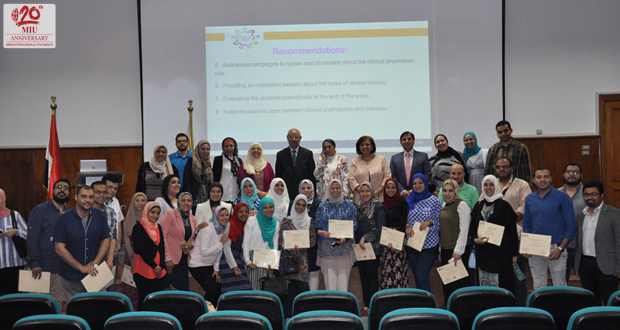 Moreover, awards and certificates of appreciation were granted to our affiliated hospitals- and clinical site coordinators and preceptors, in appreciation of the efforts they have made to provide our students with the best clinical experience that qualifies them to become professional clinical pharmacists. 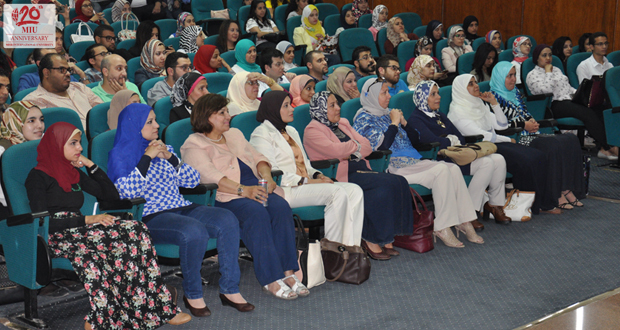 The honored coordinators were from the National Cancer Institute, Ahmed Maher Hospital, Cleopatra hospital and the International Medical center.